What a strange season 2013 was for Omiya Ardija supporters. I'm sure all of us at the beginning of 2013 could not have predicted the ups and downs that we would experience. However, one thing we all definitely predicted is that Ardija would not be relegated and would finish in 14th place. Most fans probably tipped us to finish anywhere between 13th and 15th. We were bang in the middle of that. Just like normal. What was not normal was how we went about ending up in 14th place. Two managers, two very different streaks, a first ever run at the top of the table, a behind the scenes player revolt, the signing of an ex- Premier League player, and a dramatic slide down the table to our usual position. Many would still question the wiseness of the decision to sack Verdenik, the man who brought in the Slovenian attack duo to help surge Ardija to the very heights of J1. At the time of his sacking, Verdenik's team were on a 5 game losing streak. This was surely too soon to pull the trigger. It seems now that it was driven by problems in the team and the club behind the scenes. The bigger problem for the fans was that his replacement would take the club on a far worse losing streak, and turn out performances that were lifeless and showed a lack of spirit, skill, teamwork and tenacity. Qualities that had pushed the Verdenik team to the top and had made Ardija difficult to play against. Ogura looked out of his depth at Ardija. This might be unfair. He stepped into a difficult situation at Omiya but certainly he did not bring the best out of the players. He showed no ability to halt the slide, to change the team line ups, or to try new formations. The sad truth is we finished 14th and not in a relegation place, because of the points we had amassed earlier in the season under the management of Verdenik and not because of anything Ogura brought to the club. By the end of the season the only sane decision for the Chairman was to sack him. Thankfully he did so. The Chairman must take some of the blame. His decision to support the players against Verdenik backfired horrendously. The performances in the latter half of the season were embarrassing. I have better memories of seeing Omiya fight for their life in previous seasons, than the poor play served up by Ogura's team. There may have been other reasons behind the Verdenik sacking, but they have not been made public. The Chairman, like the manager and the captain of a club needs to hold a firm, strong line at times. Otherwise everything can unravel. It did do alarmingly at Ardija last season. The saving grace is that the relegated teams were just too many points worse off to save Ardija's skin. We are still in J1. I'm not sure if it's been announced yet who is the captain for season 2014 but I wonder if it should be Kosuke Kikuchi. He clearly played a role in whatever went on in the club at the time of Verdenik's departure and he doesn't seem strong enough on the pitch with regard to other players. Zlatan and Novakovic continually displayed dissent to the referees. Something which Kikuchi should have put a stop to. He should also have been firmer with Shohei Takahashi to deal with some of his petulance and on field behaviour. He must have the support of people in the club. If he continues to be captain, I will be looking for a better performance from him in that role. Fans can discuss in detail the deficiencies of the squad or players in particular. For me the major weak point of the team is the lack of variety. There is no plan B. Once it went wrong for Ardija, there was nothing else for them to try. The set up was always the same. They just went on playing the way they had been all along, and they kept on losing. The magic had gone. Heads dropped. 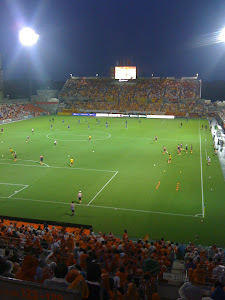 Opponents knew how what to expect and knew how to deal with it and outplay Ardija. The hope for the future is that we might build a squad that can play a variety of styles of football. Not simply 4-4-2. To finish: Let's not forget that in season 2013 Omiya Ardija were top of J1 for a while. That was a brilliant feeling. The kind of feeling that football is all about. Yes, it went horribly wrong, but before it did, it was fantastic being on top of the league.